Educational Programming Partnerships are programs, workshops, seminars, presentations, performances and/or educational services led by external agencies in our schools during instructional time. If you would like to offer educational programming in our schools during instructional time, login to the right to complete a partnership proposal. 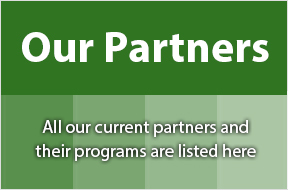 All our current partners can be viewed by clicking on the green "Our Partners" list to the left. The list of Upcoming Partners are see by clicking on the bottom right-hand banner. Offering a different kind of initiative? There are a variety of ways to engage with the TDSB. Check out Partnership Opportunities to determine your best first step. Also, the Criteria, Assessment and Review processes are outlined to the left. Privacy Statement: The Municipal Freedom of Information and Protection of Privacy Act (MFIPPA) applies to all information collected by the TDSB Partnership Information System (PIMS). The information will only be collected, used and disclosed in accordance with MFIPPA and the Education Act.